The Geographia by Claudius Ptolemy augments Greek knowledge by adding knowledge obtained in the Roman conquests. His work does not contain any map of the Earth, but includes the astronomically determined coordinates of around 8100 locations. 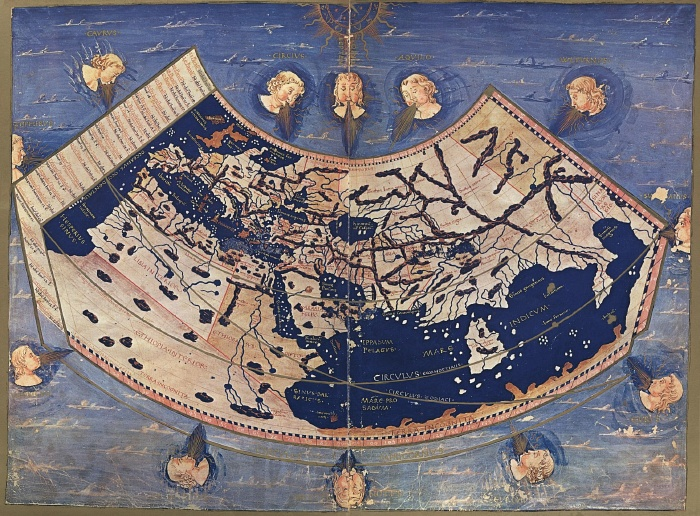 By the 16th century, numerous maps of the world were produced on the basis of this data.